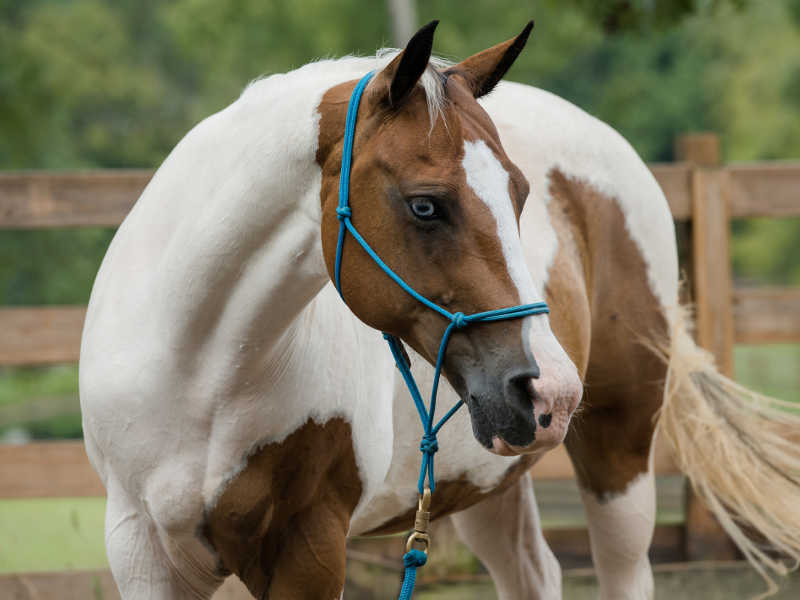 When visitors arrive at Hope Reins and meet Joy, the first thing they notice are her beautiful blue eyes. And, Joy’s story is as equally beautiful. Unlike many of her pasture mates, the mare’s background was not marred by abuse or neglect – but rather filled with love. Joy had been the faithful companion to Hope Reins intern Emma Grace who spent summers at the ranch while on break from college. After witnessing first-hand, the amazing bond kids formed with the horses, Emma Grace felt God tug on her heart to consider donating her beloved friend to Hope Reins. She was graduating and marrying, and although a difficult decision, she realized Joy’s place should be at the ranch bringing healing to others. We thank you, Emma Grace, for your generous gift!